Last week’s post speculated on an alternate future for Cinderella. Today, Sleeping Beauty visits YOLK. And most welcome she is. Sleep is a pastime I’ve come to value more as I age. Hence, I’m always pleased to read new research describing the benefits of sleep and prescribing seven to eight hours of that magic elixir. 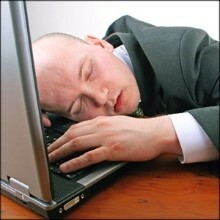 And recently I encountered another: Adequate sleep makes us more ethical. A study published in the journal of the Academy of Management found that a lack of sleep led not only to poor performance, more accidents, and decreased productivity, but also to increased deviant and unethical behaviors. The researchers, Michael Christian and Aleksander Ellis, report that sleep deprivation results in lower brain functioning, especially in the prefrontal cortex—the part of the brain that controls what they call “executive” functions, related to self-control of emotions and behaviors. Our prefrontal cortex is fueled by glucose, and inadequate sleep starves us of that glucose, resulting in a reduced ability to recognize and resist temptation. With adequate sleep and ample brain glucose, we easily resist any impulse to lie, cheat, or steal, but when we are sleep- and glucose-deprived, we are much more likely to succumb to the lure of lying, cutting corners, or other unethical behaviors. In a Harvard Business Review article, researcher Christopher Barnes of the University of Washington’s Foster School of Business reported similar results on the effects of sleep on ethical behavior. His work also revealed that it doesn’t take much of a sleep deficit to make a difference. In one of his studies, the subjects who cheated had only 22 minutes less sleep than the non-cheaters. Barnes further cited studies showing that lack of sleep leads to deviant behavior at work, such as falsifying receipts, claiming credit for another’s work, or lying. He also notes that in business it is often those who are in the most important or prominent positions who are most sleep-deprived—perhaps explaining some high-profile ethical lapses we’ve seen in the corporate world in recent years. America is often referred to as a sleep-deprived nation. It makes me wonder just how much of the bad behavior we see and read about daily is attributable to tired people intersecting with other tired people and neither making the best choices. It’s not a big leap to conclude that adequate sleep is an important element of kindness. While I’m no scientist, I know from my own experience that when I’m especially tired I’m not as kind as I am when I am rested and refreshed. It’s not that I am overtly unkind—though I’ve been known to be snappish when weary—but I bypass opportunities to extend kindness. I’m just too tired. Or maybe I’m just oblivious. Whatever it is, when sleep deprived it’s harder to summon the energy for kindness. Whether it’s offering assistance, writing an encouraging note, or feeding apples to the neighbors’ horses, there are times when I’m. Just. Too. Tired. I could tell myself that I’m foregoing kindness toward others to extend some self-care or kindness to myself when I’m worn-out. And it’s true that the best thing to do when we’re running on empty is to sit down, take a nap, go to bed early or sleep later in the morning. Good advice and also a good reminder to pay attention so we recognize our own symptoms of fatigue. Just as it’s easier to solve complex problems or learn new things when well-rested, I contend it’s also easier to be kind. So next time you hit “snooze” on the alarm and roll over for just another 20 minutes of sleep, remember that you’re doing the world a favor: you’ll be a kinder and more ethical person for it. The world needs that. Thank you. As for me, Sleeping Beauty is going to go replenish the glucose in her prefrontal cortex…. This entry was posted in Kindness and tagged acts of kindness, Ethics, Extending Kindness, Fatigue, Kindness, Kindness and Ethical Behavior, lack of sleep, Sleep, Sleep Deprivation by Donna Cameron. Bookmark the permalink. Thanks so much, Mary Kay! You’re already very kind and you deserve that extra sleep. No guilt for a good night’s sleep! Thanks so much for reading and commenting. This makes sense to this sleep-deprived, ratty individual! For me, I think it’s important to stop worrying about other people, and start being kind to them. Well said, Carol! I was hoping sleep-deprivation was a uniquely American malady. I guess it’s global. Thanks, always, for your kind comments. I wish you had been a little kinder to me when, last week, you punched me in the chest at 2 in the morning when, according to you, I was snoring (which is ridiculous). Ouch! Oh, dear husband, you are right, it was terribly unkind of me to nudge you lovingly as you slept so soundly. Next time I am awakened by snoring (as unlikely as that may be), how about if I gently put a pillow over the offender’s face to muffle the sound? Thank you, as always, for pointing out my lapses in kindness. Thanks, Ann. I suspect we have to reach “a certain age” before we really appreciate sleep. In my 20s and 30s, I would have readily foregone sleep for other pastimes or distractions. Now, sleep is so much more welcome…. Thank yo so much for commenting.